The MIT Political Science Department’s emphasis on comparative research is reflected in the many affiliations maintained by its faculty members with centers and major research programs at MIT, Harvard, and elsewhere around the world. 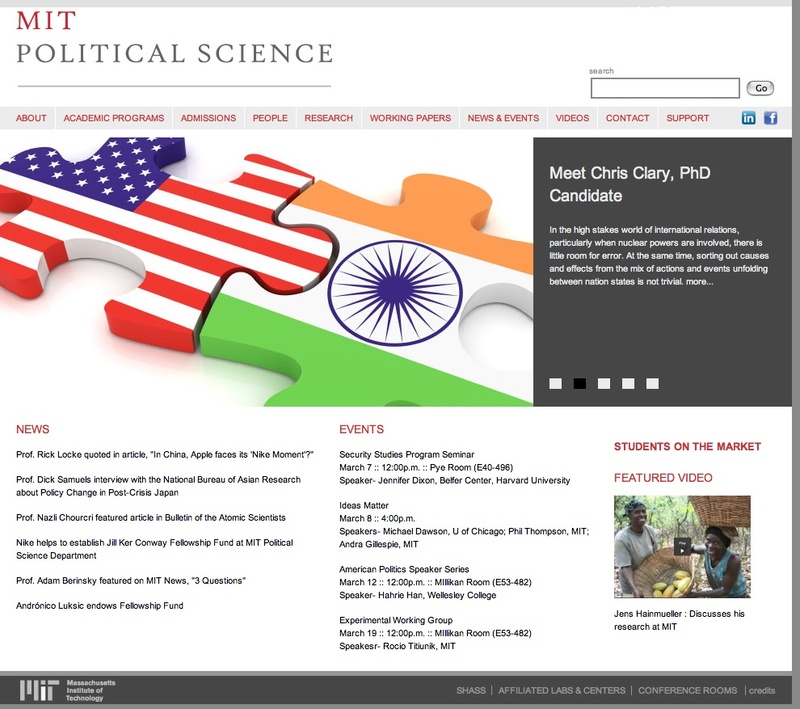 The MIT Political Science Department’s website provides a dense but well organized quantity of information and records, with several sections, areas and related project’s websites regularly updated. Full-text material is mainly classified by people and research projects with a plenty of papers, journal articles and books’ tables of content and excerpts freely retrievable in pdf format. Other material, such as proceedings, can also be reached throughout the seminar series, workshops and working groups web-pages. Content is easily located and retrieved, while a large number of links spread throughout the site are mostly related to various MIT initiatives, as the Voting Technology Project, a large online collection of electoral data.